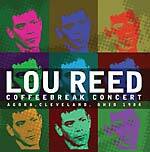 "In July 2008, Lou Reed assembled a never-before featured cast of musicians into a band which essentially tore the house down at Lollapalooza. 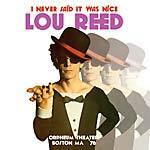 The band included Lou stalwarts Rob Wasserman on bass, Tony 'Thunder' Smith on drums, Mike Rathke on guitar, as well as more recent sideman like Steve Hunter (who played on Lou Reed's Berlin), keyboardist Kevin Hearn, Ulrich Krieger on sax, and Sarth Calhoun on fingerboard continuum and processing. 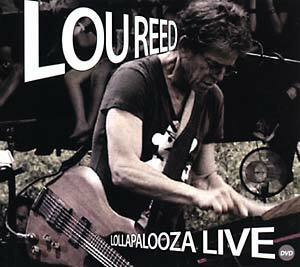 This historic Lou Reed set at Lollapalooza included classics like 'Walk On the Wild Side' and 'Sweet Jane' as well as rarely featured gems like 'Senselessly Cruel' and 'Mad.' 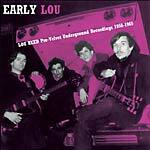 Lou's performance also featured a 15-minute mid-set section of instrumental noise by Lou's Metal Machine Trio, which added an extra bit of intensity to the proceedings. 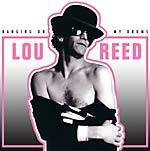 This special Lou Reed performance has been called one of the greatest ever at Lollapalooza." NTSC All Region format.